You didn't listen to me. Now you'll play the game... forever! For people of a certain age, the sight of a rowboat bobbing in the water on a foggy night, the sound of a rusty swingset creaking in the wind, or the waggling notes of a spooky synthesizer will evoke very specific memories. Not of rowing boats or playing on the playground, as you might expect, but more likely of a musty rec room somewhere – memories of being a kid, huddling under a blanket in front of the television, too terrified to move. If you were born in the 1980s or early ’90s and had access to a TV, you’ll almost certainly recognize these scenes (both on-screen and off) and that oh-so-unsettling theme from the opening of Are You Afraid of the Dark? Created in 1990 by D.J. MacHale and Ned Kandel for Canada’s YTV, the now-classic kids horror anthology series was a co-production of Cinar Films and Nickelodeon Productions. 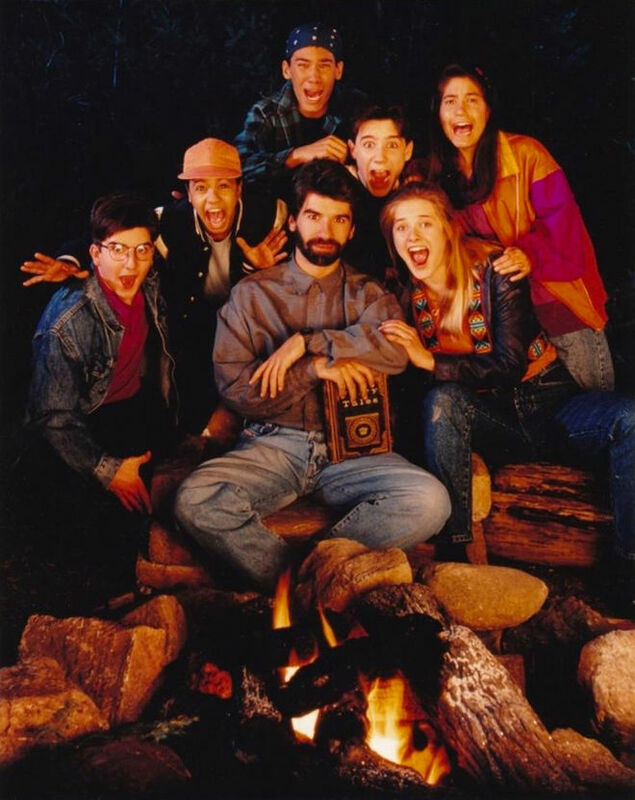 Basically a kids' version of The Twilight Zone, the show centered on the Midnight Society – a group of teens who assembled each week to tell scary stories around a campfire. As the kids told their tales by firelight, a dramatized version of the story at hand would be presented to viewers. With titles like “The Tale of The Phantom Cab,” “The Tale of the Pinball Wizard,” and “The Tale of the Dark Dragon,” these narratives often involved ghosts, demons, and other supernatural beings and almost always had a happy ending. Produced in and around Montreal and Vancouver, the show also doubled as a proving ground for countless young Canadian actors, featuring early work from the likes of Neve Campbell, Ryan Gosling, Hayden Christensen, Jewel Staite, Jay Baruchel, Elisha Cuthbert, and many others. The original Are You Afraid of the Dark? series aired from 1990 to 1996. It was briefly revived in 1999 and is still syndicated around the world to this day. 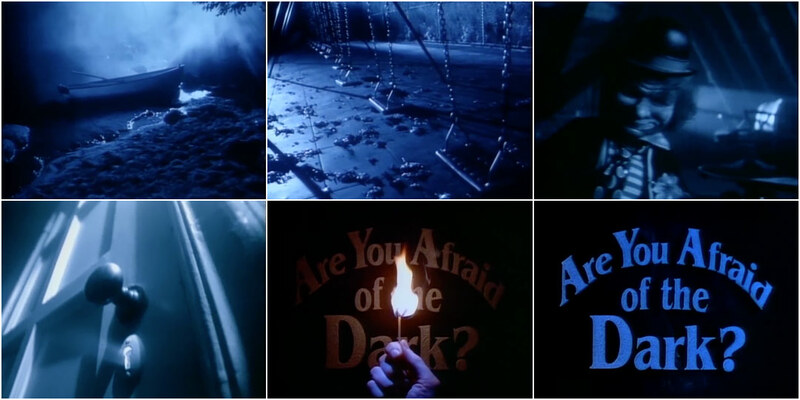 As is often the case with the format of an anthology series like Are You Afraid of the Dark?, having an impactful title sequence is essential. 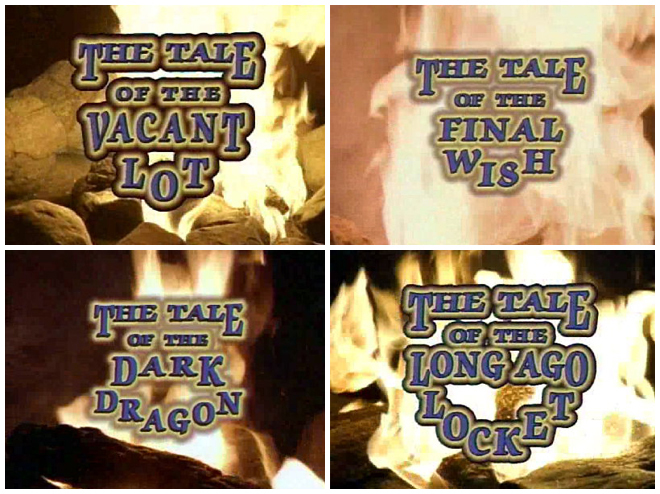 With an ever-changing cast (save for the Midnight Society) and a new story every episode, the opening titles were the glue that held the show together – a touchstone that not only helped inform the tone of the series overall, but also reminded young minds eagerly craving more than Saturday morning cartoons that they were in for a scary good time. The episodes may blend together with time, but no one who watched Are You Afraid of the Dark? as a child will ever forget the show’s main titles. Submitted for the approval of the Midnight Society, we call this… The Tale of the Terrifying Title Sequence. A discussion with music director and composer JEFF ZAHN. I am a trained classical musician, playing cello around the world and on Broadway with the show Cats, but my first love is composing, which I also studied at Boston University and Stony Brook University. Years ago, I was lucky enough to meet the legendary kids’ television composer Joe Raposo, who took me under his wing to write and arrange for him. Joe Raposo was a Portuguese American composer and songwriter, best known for his work on the children's television series Sesame Street, for which he wrote the theme song. When he tragically died, I took over some of his contracts and one was to continue a series called Madeline for a company in Montreal called Cinar Films. I went on to work for them for 18 years, writing a lot of their music and supervising the other series and composers. Are You Afraid of the Dark? series regulars (AKA the Midnight Society) with series creator D. J. MacHale. From left: Ross Hull (Gary), Jodie Resther (Kiki), D. J. MacHale, Jason Alisharan (Frank), Nathaniel Moreau (David), Rachel Blanchard (Kristen), Raine Pare-Coull (Betty Ann). 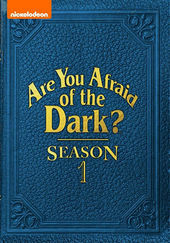 As part of my job I was told about a new series called Are You Afraid of the Dark? I met director D.J. MacHale and producer Ned Kandel and they told me about their vision. I loved the concept. We talked about the process of finding a composer for the underscore. I thought it best to bring in about ten writers and have them write samples of their work. I would direct the process. We found two fabulous composers to share the load. At some point we discussed the opening sequence, but I don't remember if they gave me any footage or a script first – or if I wrote the music alone. I'm pretty sure I wrote a music piece about one minute long with just the outline of the series in my head – and they edited the visuals to that. How did you come up with the theme song? I was actually sitting in Dorval Airport in Montreal and I started singing the theme while waiting for my plane. I just thought about the series, about mystery, hauntings, scary, supernatural things, thrillers – and kids – and it came to me. I didn't have music paper, so I scribbled out the notes on a napkin. I really liked it and kept singing it. Then when I played it on piano the important countermelody came to me, which I used as an introduction and for linking material. It came together very quickly and easily, unlike a lot of other themes I’ve done. How did you compose it? What equipment or instruments did you use? I recorded a really good version at my home studio using computers and samplers. At the time, it was mostly Roland 880s, Sample Cell, and other standard synths. But I was very lucky in that I worked with a Montreal musician named Jeff Fisher. We had worked on many prior series together. Jeff is an amazing keyboardist, but also an equally brilliant arranger and orchestrator. We went into the studio together to record the final and he re-recorded all my parts and added a few of his own touches which really brought the track to life. We immediately liked it a lot. Jeff went on to become one of the two underscorers of the series, along with Ray Fabi. 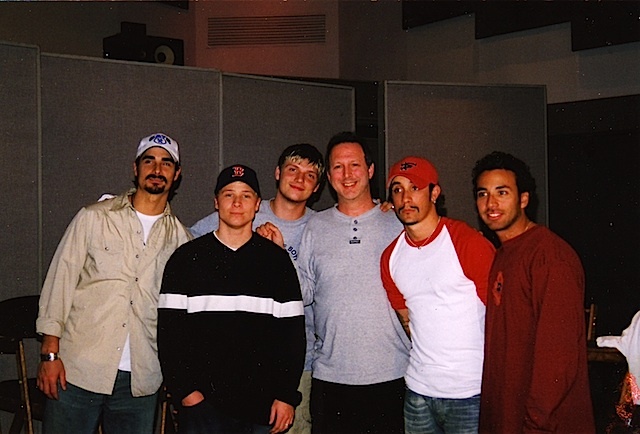 Composer Jeff Zahn with the Backstreet Boys. What sorts of themes have influenced you? I studied classical music as a composer and cellist, so I have a good sense of composition and orchestration. What influenced me most was the concept of the series, not any one past composer. Hearing what the series aspired to achieve was the inspiration. I was taught that if you truly want to be a good writer, you should never write near a keyboard or guitar – your hands tend to go to your favorite positions and it limits you. So my best writing happens when I am away from the studio. Such was the case with Are You Afraid of the Dark? – when I wrote it at the airport. What should a good television theme do? What role do you feel it serves? Easy answer: the best television themes should, upon hearing it, make you sit up and take notice from any room in the house that your show is about to start. It should be unique, identifiable, and memorable. This can be accomplished through interesting melodies, interesting style, interesting arrangement, orchestration, or lyrics. Themes tend to fall into a few distinct categories. The most popular tends to be the Gilligan's Island model that gives you a lot of backstory, like the Brady Bunch as well. Others set the mood through groove and lyrics – think The Sopranos. Others can be anthems, like the theme to the kid's series Arthur, which I produced. But they have to be unique unto that seriesand hopefully not derivative of other series as well. 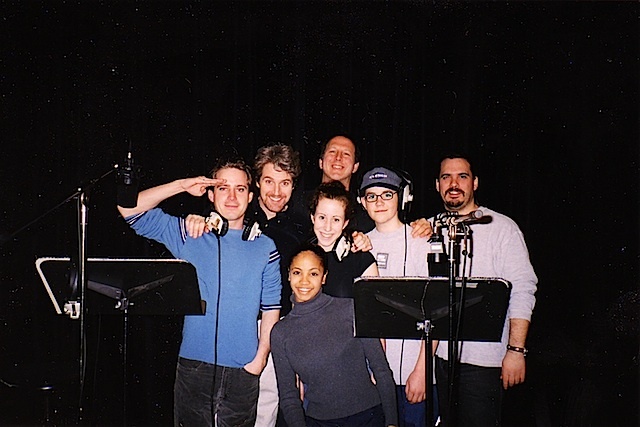 Jeff Zahn (top) with the voice cast of Arthur. You've composed the music for many iconic kids’ shows. Is there a difference between composing the theme for a kids’ show as opposed to something for adults? No – same rules. It has to be unique, fresh and special unto itself. As with a kids’ show, any style goes, as long as it's supportive of the parameters of the series. I'm currently working on a new kids’ series called Jam Hotel which takes place in New Orleans. So obviously, we're toying with zydeco music. I'm also working on a country music series called Twangy, so the theme song will be in a contemporary country style. What are some of your favourite TV and film themes? Of those I wrote, I still do like Are You Afraid of the Dark? I once did a French TV series called Les Intrepides and I love the theme that I wrote for that, too. I also wrote a really swinging big band theme song for the series Paddington Bear. As for films, I'm a huge Randy Newman fan, so any of his old scores are magical. Avalon, The Natural, Ragtime, etc. I'm also a fan of The Sopranos theme – that's such a fresh groove and the lyrics are so integrated. Years ago, there was a series called The Practice. I liked that for its orchestration. Special thanks to Mathew Klickstein, author of SLIMED! An Oral History of Nickelodeon's Golden Age, for his help in facilitating this interview.